Nokia, Finland’s largest company and the world’s number one mobile manufacturer by volume, is in trouble. Failure to adapt its smartphones has left the company languishing where it once dominated, as stylish computing corporations and search specialists now hold the top revenue spots. Nokia’s second quarter financial results were horrifying to many, let alone those associated with the company. The Espoo-based mobile maker record a €487 million operating loss (a drop of €782 million in just one year), overall net sales plummeted 11% quarter-on-quarter and 7% year-on-year, as smartphone sales dropped 32% to 16.7 million units. This drop ensured that as Nokia entered its third-quarter, the company lost its position as the global leader in smartphone sales to Apple (with iPhone sales reaching more than 20 million units), a position that it had held for 15 years. Stephen Elop, Nokia’s CEO and the man tasked with leading the recovery of Finland’s biggest exponent, believes that despite huge losses and the concession of its smartphone sales lead, adopting Microsoft’s Windows Phone platform and “mitigating the impact” of challenges faced as a result of dropping the Symbian platform and cutting thousands of staff, will bring “long-term opportunities for Nokia”. Basically, Elop says things may get worse before they get better. Elop said that Nokia has already taken action to reduce the inventory build-up in its first quarter (possibly as a result of less-than-expected sales in those regions), amended its pricing structure worldwide (slashing prices on its online shop, for example) and has begun focusing its sales and marketing resources towards consumer retail interactions. All of Nokia’s long-term plans hinge on the success of its new Windows Phone smartphones, devices that it hopes consumers – especially those in the US – will marvel at. Nokia has traditionally offered superior build quality, exceptional hardware and competitive pricing – but even this might not be enough to dig the company out of the hole it has created for itself. Nokia needs to completely rebrand its range of handsets and reconfigure its marketing approaches to truly stand a chance of becoming relevant again. And here’s why. Nokia will always be known for its numerical device naming process, the company has spent decades labeling new devices with a single letter prefix and a random set of numbers (although more recently it has settled on adding just a single digit). The naming system worked when the company was updating its handsets at a furious pace but in the last six months alone, Nokia has launched five Symbian-powered handsets and one Meego device, with each handset appealing to a specific demographic. Of Nokia’s latest N-series and X-Series smartphone, two are technically unsurpassed in the hardware department, one is business focused and the others are generally aimed at whoever will buy them. When Nokia makes its Windows Phone smartphones available, rumours suggest the company will employ the “W” prefix and then name its devices similarly to its N-Series and X-Series phones released recently. The problem with the a “W1” or “W10” device naming policy is that it harks back to the good old days of Nokia, names that do not send a “come and get me” beacon out to the general smartphone consumer when they are in the market for a new phone. Nokia’s rivals utilise a select set of nouns with the sole intention making their devices memorable – Apple uses iPhone, HTC comes in with its Sensation, Thunderbolt, Evo (short for Evolution) and Hero devices, with Samsung pushing its Galaxy smartphones. With a W1, or similar naming convention, Nokia isn’t inspiring the consumer, it is simply pushing new devices with familiar codenames. 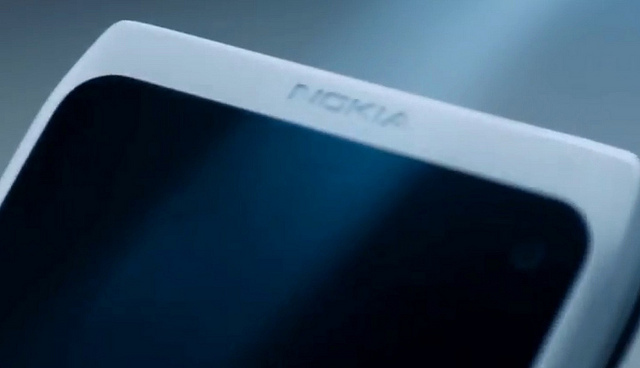 When HTC, Samsung, LG, Dell and a number of new OEMs are releasing “Pro”, “Trophy”, “Focus” and “Optimus”, smartphones running the same Windows Phone operating system, would a Nokia codename appeal over names chosen by its rivals? When Nokia announced it had dropped the Ovi brand, the mobile industry breathed a collective sigh of relief. In 2007, Nokia launched a range of Internet services and apps under the Ovi brand, incorporating sharing tools, music downloads, maps and games under its umbrella. With application downloads in their infancy, Nokia launched the Ovi service two months after Apple’s iPhone, hoping to bring its devices on par with a new kind of mobile device that came with its own set of integrated services and launchable applications. With Google bundling its own services on its Android platform, and Apple securing partnerships to keep Google Search and Maps available on the iPhone, Nokia’s Ovi service not only confused consumers as to whether it was actually a pure Nokia service but was also the only suite of vendor tools that was actually referred to by name. 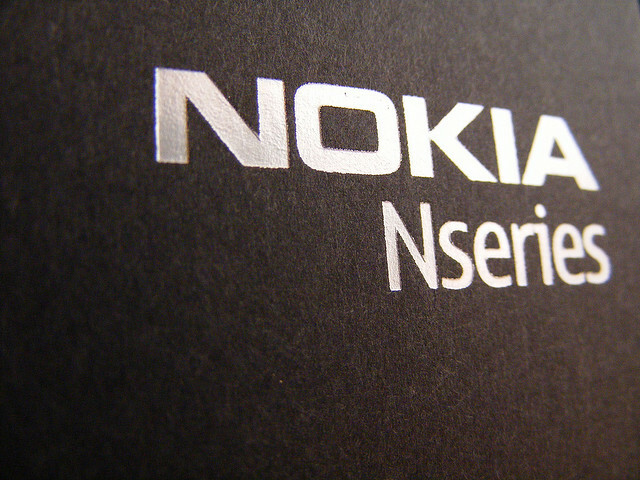 In May, Nokia said it would slowly begin to wind down the Ovi brand and rebrand its services under the “Nokia” banner, a transition the Finnish giant expected to start in July and continue into 2012. Moving forward, Nokia needs to understand that its potential customers are more than likely already enjoying devices powered by Apple’s iOS platform and Google’s Android operating system. This means that the company cannot simply enter the market with a like-for-like range of devices and similar platform, it needs to enter the market and drive home its own unique selling point. When Nokia’s new devices launch, they will hit the market with Microsoft’s latest Windows Phone update, codenamed Mango. Mango builds on Microsoft’s solid foundations, removing many of the bugs and annoyances whilst adding some truly innovative features, particularly with new messaging, Xbox, Office and social integrations. Nokia will be be able to bundle its own services to work alongside the new update, building upon Microsoft’s own mapping tools to give consumers unique reasons to buy a Nokia-specific Windows Phone smartphone. Nokia will also be able to leverage Microsoft’s connection to Windows desktops to tempt in users who need document and office synchronisation. Speak to someone who has an intimate knowledge of the mobile space and they will tell you that technically, a Nokia and Microsoft partnership should be successful. Windows Phone has received praise for its usability, aesthetics and integrated applications and services, whereas Nokia has been long regarded as one of the top handset makers in terms of hardware quality. Releasing Windows Phone devices will not be enough for Nokia, it has to completely change the mindset of the consumer to believe the Finnish mobile giant is a force to be reckoned with again. That means a targeted marketing push and almost certainly an investment of millions of advertising dollars. Android and Apple smartphones sales are largely driven by a younger demographic, with more than 40% of smartphone buyers between the ages of 18 and 34. However, around half of mobile phone owners are now over the age of 50, and account for only a small percentage of smartphone users. If Nokia was to change its naming dynamic, it would be able to target devices at different demographics, marketing handsets to an older user-base. Windows Phone devices are easy to operate and are known for their ability to “just work”, removing the complexity that is commonly associated with Android. Just because older mobile-phone users aren’t massive smartphone buyers, this doesn’t mean that adults won’t be impressed with what these new devices can do. The ability to chat on a social network will tempt a teenager or young adult but it will be largely ignored by an over-30 demographic. However, explain that there is an array of health applications, satellite navigation services and document collaboration features powering a Nokia handset (phones that older users will recognise and trust), and an often forgotten demographic could assist Nokia in its attempt to reverse sales numbers across Europe and North America. Nokia may be able to sink millions into marketing, but without the support of the carriers, it may fall at the first hurdle. In the years where Nokia pushed Symbian, despite there being no real demand for the platform in popular markets, mobile operators lost interest and sometimes new smartphones would launch on just a single carrier in the US, giving Nokia no chance of actually establishing a moderate user-base in the country. The company may have the tools, options, marketing expertise and revenue programs to appeal to the operators but its devices will ultimately dictate the companies’ fate. It already has relationships with 132 operators in the 190 countries it operates in but if its new smartphones are just more of the same, the company could find itself in the same position it is today a year down the line. If Nokia can connect the pieces of the intricate puzzle it is trying to build, it will stand a chance at not only increasing its smartphone sales, but also encourage consumer confidence in the brand. With consumers confident that Nokia devices are reliable, powerful and come as part of a steady release cycle, developers will want to develop for the platform to capitalise on the demand for Windows Phone applications, fueled by Nokia’s emergence as a major Microsoft OEM. To assist developers, Microsoft has already waived its registration fee, offered free developer tools and a complete developer portal with dedicated tools for helping developers maintain and analyse their apps. Many of the points discussed in the article have been touched on by Elop, who has already said Nokia will use its established position within the industry to deliver top-end smartphones on a large scale. Nokia’s CEO admits we are just at the start of the “mobile revolution” and will utilise Microsoft’s position in the document publishing, gaming and Internet service markets to drive the company forward. Nokia knows it must adapt its offering to stand out from its rivals, but keep its products and services familiar so that consumers aren’t embarking on a new learning curve if they buy a Nokia Windows Phone. Elop hasn’t made the mistake of copying Apple and Google. He has detailed a unique path that will see his company’s efforts focused on what could be its last chance of staying relevant as a smartphone vendor. We are but months away from seeing what Nokia has planned for its new devices, only then can we truly see whether the Finnish mobile giant stands a chance at reversing its fortunes.